In Ayurveda, coughing is known as Kaasa roga. It is predominantly an effect of the vitiation of the vata dosha. But the pitta and the kapha doshas can also cause coughs. 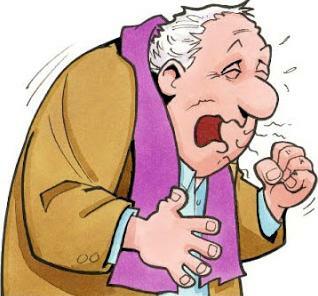 Based on the causative factor, there are five types of coughs - vataja, pittaja, kaphaja, kshataja and kshayaja. - Henna (Lawsonia inermis) Henna is a definite remedy for sore throat and the related cough problems. - Cold foods must be avoided as these can aggravate the throat further. Water that is drunk normally also must be warmed a little before drinking. - Use old rice in the diet. Wheat can also be used beneficially. - Do not consumer any fruits or vegetables that can cause excessive cooling of the body. Foods like cucumbers, green bananas, papayas, watermelons and oranges must be strictly avoided. - Fennel seeds are effective in the treatment of cough. These must be taken along with figs for better results. - Ayurvedic doctors prescribe slightly different kinds of medicines depending on which type of cough is observed. a) If the cough is of vataja type, then kanakasava or kantakaryavaleha are prescribed. b) If the cough is of pittaja type, then sitopaladi choorna is preferred in conjunction with chandansava or vasarishta. Vasavaleha and matulungadi avaleha may also be prescribed. b) If the cough is of kaphaja type, then trikatu, triphala, guggulu and shilajit are the drugs of choice. - The pulp of the fruit of the belleric myroblan is mixed with long pepper, salt and honey. This is to be taken once a day. - Clove oil mixed with garlic and honey helps to eliminate spasmodic coughs which are produced in tuberculosis, asthma and bronchitis. This mixture must be taken every night before going to bed. - Figs are known to clear the buildup of phlegm in the chest cavity. This brings about an elimination of cough. - Make a powder of cardamom and dissolved it in water. Take this thrice in a day. This will keep all types of cough at bay. I had a cough that didn't let me sleep and my ribs were killing me. I taught English at the time. One of my mature students gave me a bottle of Cretan Raki with instructions to heat up an expresso sized cup of raki with a teaspoon of honey and drink while hot. I slept like a log for the first time in days ... and the cough was much improved. I have always used the same recipe ever since. Any high alcohol (4o%+) drink will do. We finished the raki years ago but have used ouzo, tsipouro, and Southern Comfort all to good effect. Off to make two lots now. That time of the year again.